US OPEN - walk to the tournament at Pebble Beach! Just a short stroll down the famous Carmel beach from Pebble Beach. Oceanfront two-story charmer on famed Carmel California one-mile beach, unobstructed view of the ocean, spectacular sunsets, cozy family room with large wood burning fireplace, entire upstairs is master bedroom suite with balcony, gorgeous ocean view, fall asleep to the sound of the surf, only six blocks to downtown, and everything you need for a perfect vacation. 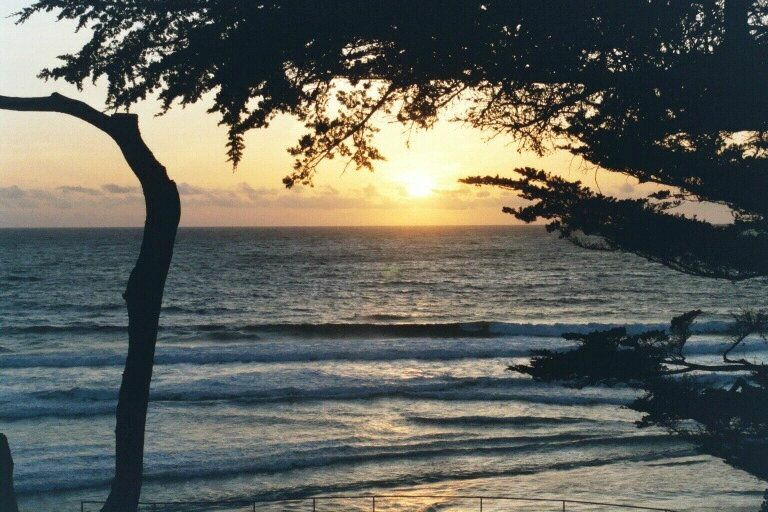 Carmel CA is the nicest vacation spot on the California Coast.